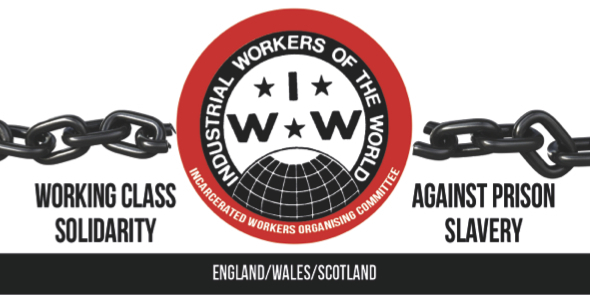 The IWW Incarcerated Workers Organising Committee in Wales, Scotland and England was launched in February 2016. We have been inspired by fellow workers in the US, who have been organising in solidarity with incarcerated workers since 2014. Learn about their work here. The Industrial Workers of the World (IWW) is a revolutionary union founded in 1905 that has a rich and proud history, organising workers into revolutionary ‘industrial unions’ along the supply chain of their industry. Our union organises all workers and unemployed workers of all wages, jobs, colours, religions, genders, ages, cultures, politics and other differences. Everybody is welcome and involved. The IWW recognises that prisoners are on the frontline of wage/prison slavery, capitalist exploitation and the State’s war on the working class. This is why we have started IWOC – the Incarcerated Workers Organising Committee to support prisoners to organise & fight back against prison slavery and the prison system itself. IWOC is made up of ex-prisoners and those who have supported loved ones and comrades in prison for over a decade, as well as other fellow workers that simply recognise the injustices of the “criminal justice” system. We aim to support imprisoned fellow workers by being a point of contact and source of support on the outside to help prisoners organise on the inside. We know that prisons punish those that resist, which is why we are here on the out to make your struggles visible. Together we are stronger! In North America, members have organised and participated in prison shut downs, strikes, and collective actions to win victories in stopping state torture, medical neglect and more. 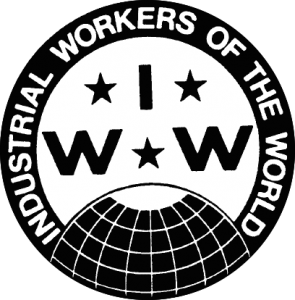 The IWW has branches all over England, Wales, Scotland & Ireland that will join the struggle. Our moto is “An injury to one is an injury to all”. IWOC is also fighting against prison expansion and the increased capitalist exploitation of prison labour, as well as against IPP sentences and other forms of injustice in the prison system. 1. To further the revolutionary goals of incarcerated people and the IWW through mutual organising of a worldwide union for emancipation from the prison system. 2. To build class solidarity amongst members of the working class by connecting the struggle of people in prisons, detention centres and young offenders institutes to workers’ struggles locally and worldwide. 4. To actively struggle to end the criminalisation, exploitation, and enslavement of working class people, which disproportionately targets people of colour, immigrants, people with low income, LGBTQ people, young people, dissidents, and those with mental illness. 6. To organise against the expansion of the prison industrial complex in the UK, including the nine proposed mega prisons, which will harm the working class and create increasing infrastructure to exploit prisoners and profit from their imprisonment. To achieve this cage slave/wage slave alliance the IWOC is accepting IWW membership applications from prisoners who agree with the IWW Constitution and believe that to truly change prison conditions prisoners must be organized and working towards such goals with the help and support of the working class on the outside. Prisoners will be full fledged members of the IWW with their own local prison branch to maintain and develop and will have the same rights and responsibilities of members on the outside. However, due the exploitative nature of the prison system, prisoners are granted free IWW membership, and will not be required to pay dues while in prison. Outside members of the IWOC will be in direct communication with prisoners and provide organizing training, support and guidance in union building, solidarity, and collaborative actions. Join the IWW now! We have a world to win and nothing to lose but our chains. Working class solidarity will prevail!